Copper is made from a soft brown material with large gold and black button eyes and a black button nose with black stitching for his mouth. He has long floppy ears made from a scruffy material. I sure am glad that we’re good friends! Copper was released on 2nd January 2012. His birthday is on 6th November 2011. Copper is a Cocker Spaniel breed of dog. 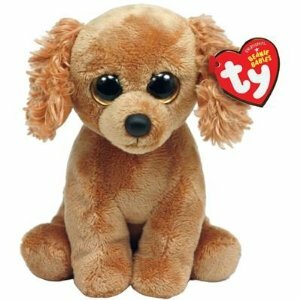 There was another spaniel Beanie Baby called Copper released in 2007.